With fresh seafood and azure waters in mind, our experts at Black Tomato have crafted a culinary tour through Croatia that will leave your taste buds in euphoria. Already admired for its medieval charm, cobble-stone streets, and world-class pebbled beaches, the rich gastronomical experience Croatia has to offer is just the cherry on top of an already incredible country. Pair food and wine on the slopes of Kozjak Mountain near Split, taste exquisite cheeses on Pag Island, travel to a private coastline for an exclusive oyster tasting, and experience cooking with a local family in Dubrovnik — believe us when we say, you’ll thank us later. Beginning in Bale, you’ll spend your first full day on a private tour of picturesque Istria. Best known as Central Europe’s iconic truffle region, these rolling hills and quaint hilltop villages are the perfect first glimpse of what’s to come in Croatia. Your day will consist of harvesting and hunting truffles with a local hunter, accompanied by an afternoon of wine tasting at the Kabola family winery. Whilst your evenings will be spent dining beneath the stars and sampling the fine cuisine of your rural hideaway at Meneghetti Wine Hotel. The next morning you’ll be en route to UNESCO’s Plitvice Lake National Park, one of the most jaw-dropping displays of nature’s beauty. This grand collection of waterfalls, lakes, and forests will have you feeling mesmerized by the beauty of Croatia. A personal guide will wander with you along wooden walkaways to private lakes and waterholes and take you into hidden corners where few others venture. Continue on your culinary tour with a few days in and around the historical waterfront town of Zadar. From Zadar, you will spend a day on Pag Island, as well as a day in Trogir. Pag Island is famous for its breathtaking views and delicious local specialities with experts in the region having curated an ideal afternoon of cheese tasting, followed by a meal at the best local restaurant. The next day, on a quaint vineyard on the hillside of Kozjak Mountain, a chef and sommelier will guide you through a harmonious food and wine pairing. 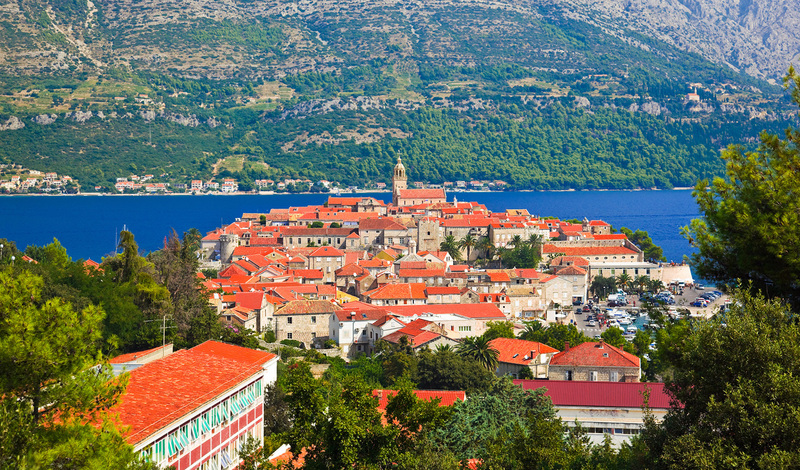 After waking in the beautiful Vestibul Palace Hotel, you’ll be ready to take on Split and its surrounding countryside. Your guided tour takes you to two delightful towns, Sinj and Gata, where you will visit a local family making the Croatian speciality soparnik. Spend the evening relaxing on the waterfront, or dining at your boutique hotels avant-garde, locally sourced restaurant. It’s finally island time, where you can experience the crystalline waters of the Dalmatian Coast in its entirety. Your first stop is Hvar, commonly referred to as the sunniest destination in Europe. A true Mediterranean haven, you’ll be draped in island breezes scented by aromatic herbs and pine forests. Spend time walking through Hvar Town before journeying to an abandoned stone-village for a unique dining experience unlike any other. Meet your skipper at your hotel the next morning before venturing via private cruise to Korcula Island, cruising around and through secluded bays and coves first. With over 2,000 years of history, take your time wandering around this captivating island. From here your skipper will then take you to the Peljesac Peninsula, the best wine-growing region in Croatia. 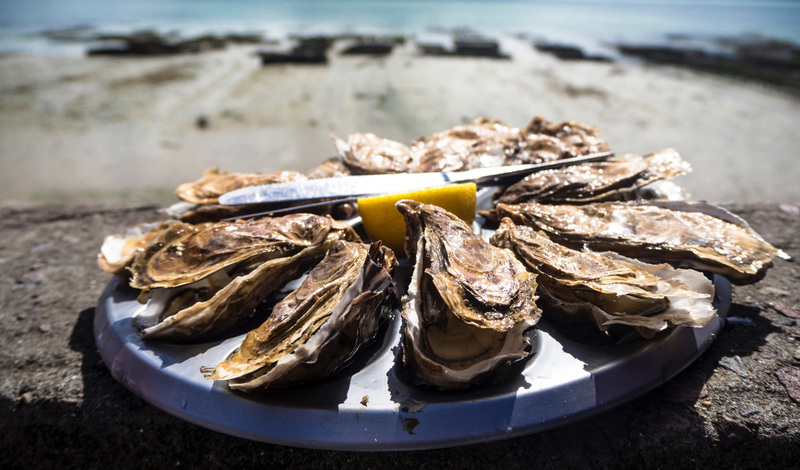 A private wine tasting at the award-winning Korta Katarina will prepare you for an afternoon at a local oyster farm where local farmers will teach you how to farm and shuck your own oysters. Enjoy a light and fresh seafood dinner before travelling to Dubrovnik. Dubrovnik, arguably the most beautiful city on the Adriatic Sea, is the heart and soul of Croatia. The dazzling red-tile roofs and narrow passageways will have you feeling immersed in a personal fairy tale, but not without the help of the luxurious Villa Dubrovnik. After a private guided tour through the city, spend time getting to know Dubrovnik at your own pace. After a good nights sleep, you’ll enjoy a day trip to Cavtat and Cilipi for personal cooking lessons with a local family. Return home the next day knowing nine days in Croatia has ignited your senses for a lifetime.